The issue is majorly reported to start when users upgraded iPhones to latest iOS 11 ( 11.3) versions and call logs not updating after that. The iPhone is not logging all or missed call. To solve the issue user have done everything force restarting the iPhone and even a iTunes restore with no results. First clear all call history of iPhone. Open call logs-> “Recents”-> and then the “All” tab-> “Edit” -> “Clear” button in the upper left. Now hard reset your iPhone and check if that fixes the missed log in call history. 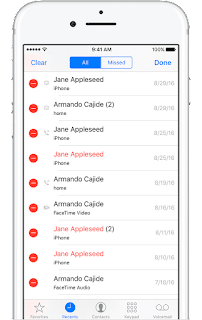 This may not make a direct relation but for many users after making a FaceTime call the call history seems to working fine in the iPhone. You should also try the same. In case you have logged into other Apple devices like iPad, try to test the issue while logging out from other devices than iPhone.